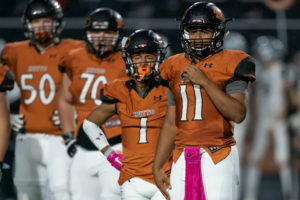 Cedar Park’s 28-game district winning streak came to a resounding end Friday as it became the latest victim of Hutto’s deadly offense in a 65-21 thrashing at Hippo Stadium in Hutto. 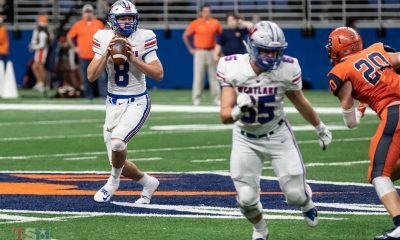 Hutto senior quarterback Chase Griffin threw for 480 yards with six touchdowns and no turnovers on 23-of-29 passing in a game that was basically over at halftime. Small but dynamic senior running back Chux Nwabuko scored four touchdowns (two rushing, two receiving) and had 131 total yards (70 on the ground, 61 through the air) on 19 touches (14 runs, five receptions). Senior wide receiver D.J. Baptist had his best game of the year with 227 yards and three touchdowns on five grabs. Fellow senior receiver Caleb Forrest added seven catches for 70 yards. As good as the skill guys played, LaPlante made sure it was known none of it would’ve happened without some stout play from the offensive line. 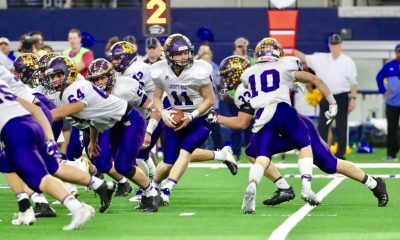 After trading touchdowns on their opening possessions, the Hippos went on a 38-7 run to finish the first half that sent most of the Timberwolves fans scrambling to their cars to get out of the rain and avert their eyes from the carnage. 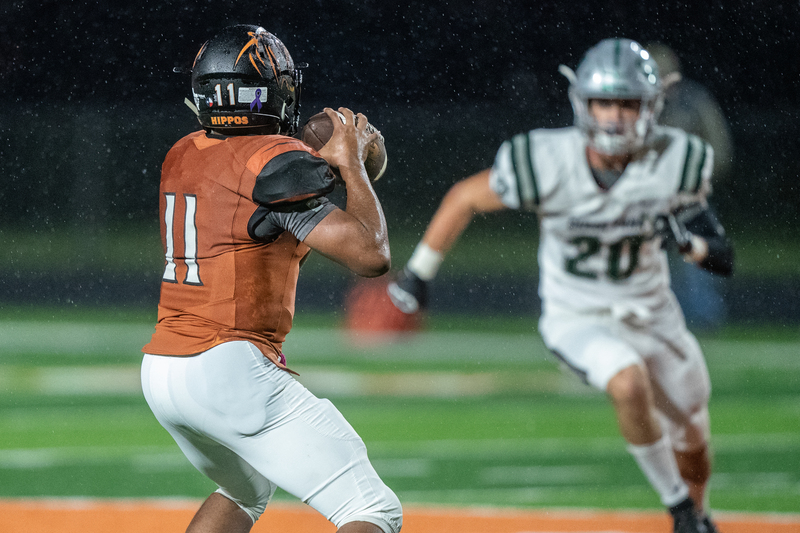 Jacob Berry scored Hutto’s first defensive touchdown of the season with an interception return in the opening stanza off Cedar Park sophomore quarterback Ryder Hernandez. 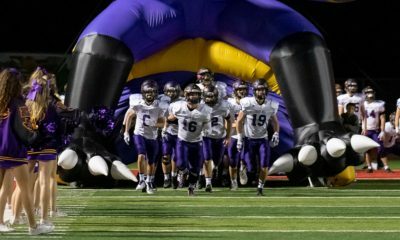 The Hippos held Hernandez to just 12 completions on 38 attempts as Cedar Park failed to reach five yards per play. 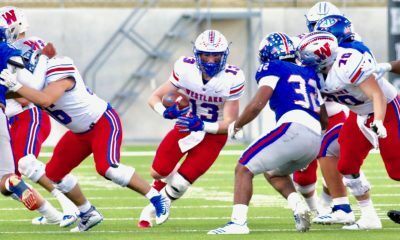 It was a far cry from last year’s matchup, where Cedar Park sacked Griffin six times in a 35-25 win.